A thermal imaging camera is a special type of camera that creates a picture based on infrared energy, which is the heat emitted from the surface of floors, walls, ceilings, and other objects. Using thermal imaging in home inspections, your home inspector may find moisture problems, leaks from faulty plumbing or damaged roofs, missing insulation in walls and ceilings, electrical problems, and more. Why Choose a Home Inspector Who Employs Thermal Imaging in Home Inspections? Would you go to a dentist who didn’t take X-rays? Hiring a home inspector who doesn’t make use of thermal imaging is like hiring a dentist who doesn’t use X-rays. 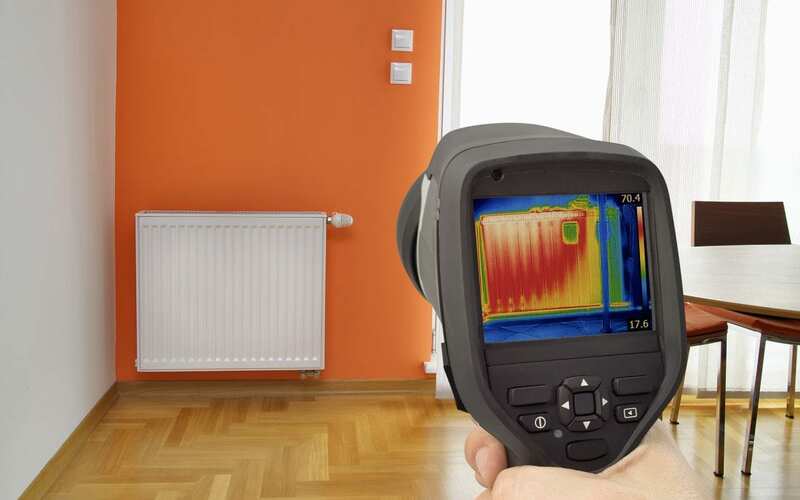 No matter how good or experienced the home inspector is, many things simply can’t be seen without thermal imaging, otherwise known as infrared thermography. If you don’t want to take a chance on your investment, then you want to make sure that the home inspector you hire is using the most cutting-edge technology available, including a thermal imaging camera, to reveal defects otherwise hidden to the naked eye. Thermal imaging can detect overheated electrical switches, panels, and more, which might not be caught by the unaided human eye alone. Thermal imaging detects moisture problems, many of which would not have been found without infrared thermographic technology. For example, thermal imaging can capture pictures of a leaking roof before it starts to leave water stains. As always, the earlier you catch a problem, the better your chances are of being able to take care of it before it becomes more severe. The moisture intrusion caught by thermal imaging could have many sources, including pest infestations, leaky plumbing, condensation, and more. Infrared thermal imaging can also immediately identify areas of energy loss and air intrusions. It will be up to your home inspector to correctly read the images produced and to pinpoint the source of the problem, which will be explained to you both in person (if you are present for the inspection) and in your home inspection report. Thermal imaging allows any home inspection to go that much deeper and to be far more comprehensive in scope. A home inspection consists of a visual inspection of the home’s accessible systems and components; thermal imaging technology provides an enormous benefit by expanding upon what your home inspector is able to discover about your property. R. Sorensen Construction & Inspections offers home inspection services to Eastern Oregon and is certified to use thermal imaging in home inspections. Contact us to discuss your home inspection needs or schedule an appointment.